It's that time of the year again. 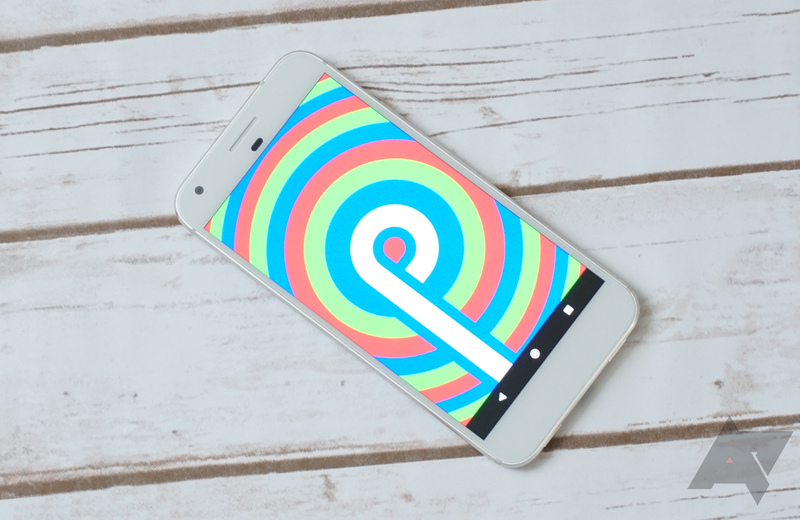 Google has pushed out betas for its latest, greatest version of Android: Q. Your eagle-eyed Android Police editors have been combing through looking for new features, changes, improvements, and even setbacks. We've enumerated everything we've found here, together with a brief description of what's new. So, let's take a look at Android Q. If there is one feature I've wanted in stock Android for a long time, it's the option to disable the vibration. I hate it with all my might and can't comprehend how so many OEM versions of Android have already understood the need to have a separate vibration option whereas stock just keeps it enabled regardless. Your phone rings? It has to vibrate too. No easy silent mode either, only vibrate or DND. Ugh, it's incomprehensible. But luckily, Android P has the burgeoning of a solution. 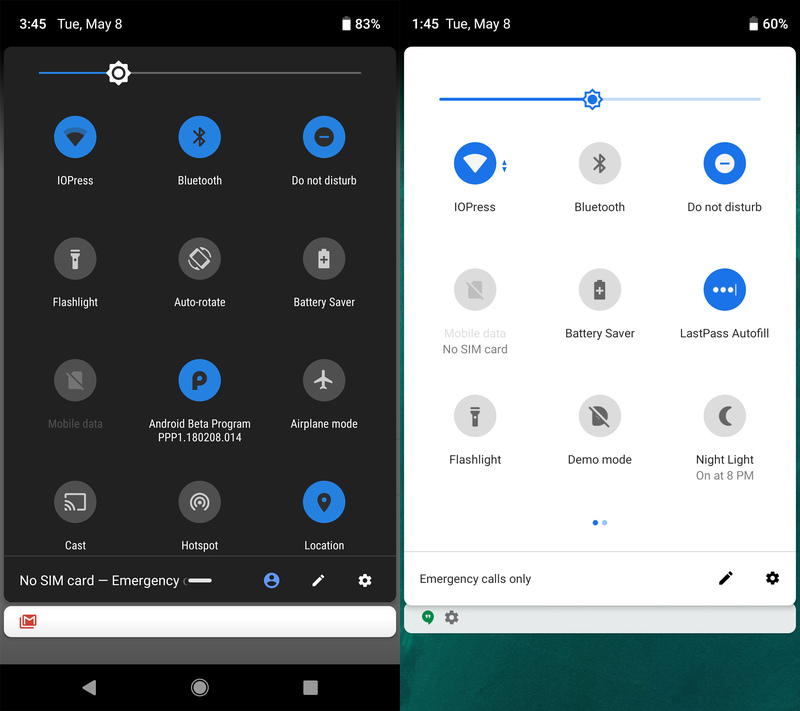 There are many controversial UI decisions in the Android P developer preview, many of which appear to be geared toward phones with screen notches. One interesting quirk is a definite lack of icons up in the status bar. Android P only shows four notification icons, but Oreo shows many more. 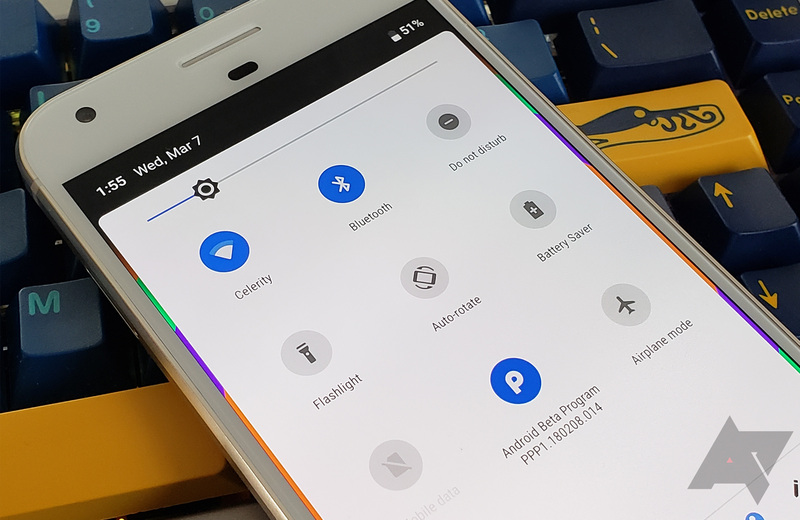 The new developer preview for Android P is rolling out with tweaks and new features galore. It has some goodies inside that Google showed off during the keynote, as well as some improvements to the features we saw in DP1. The new Pixel Launcher (vQ-4753642) build is a bit of both. The rotation lock button is more useful, and the new app actions are available in the app drawer. 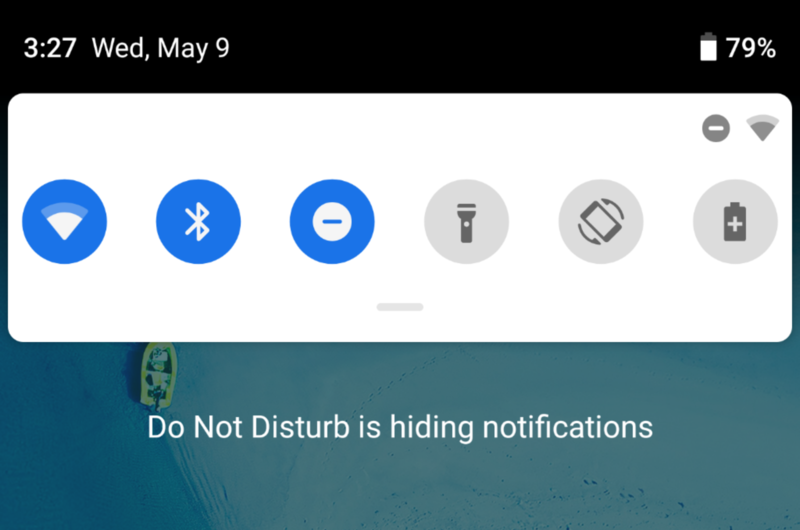 Google has cycled through various versions of Do Not Disturb functionality going all the way back to Lollipop. It was pretty complicated back then, but DND in Oreo is straightforward—DND keeps your phone from making noise. DND in the second Android P developer preview changes Do Not Disturb mode substantially. It blocks both audio and visual distractions by hiding most notifications on your device. Google makes a lot of changes over the course of a developer preview, and sometimes those changes end up reverted before the final release. That may be the case for the quick settings, which changed a lot in DP1. No, not the overall style, which is still very different than Oreo. The layout in DP2 (above right) has, however, returned to the paginated version. 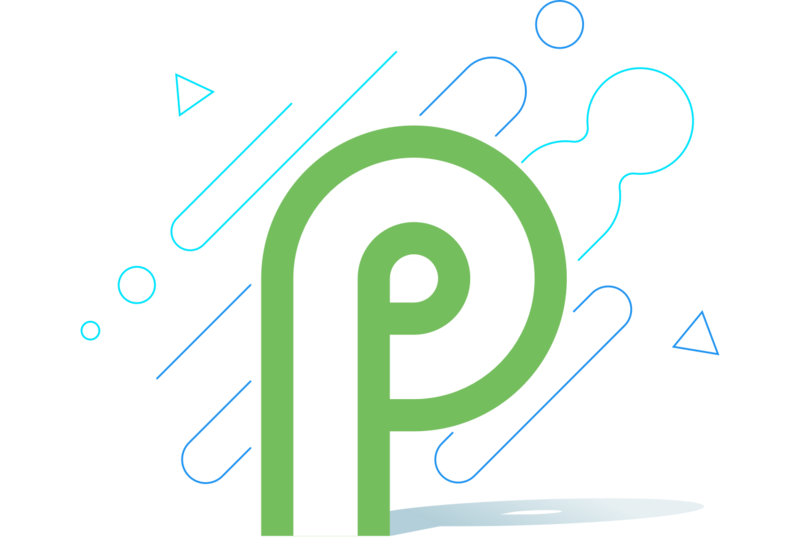 Today marks the 7th day that Android P's first developer preview has been available. In the time since, we've spent countless hours digging through P on our phones, decorticating every feature, and checking every tip about small and large changes alike. Our full list of P features has now surpassed 50 items and we've rounded them up with a quick description in case you don't want to spend hours reading each one (though we encourage you to). The main takeaway from P so far is the new focus on privacy and security, the addition of support for new hardware features (notches, dual cams), along with small but overdue changes that refine the Android experience. With many connectivity options on our smartphones nowadays, it's easy to see how things can get very crowded on your status bar. 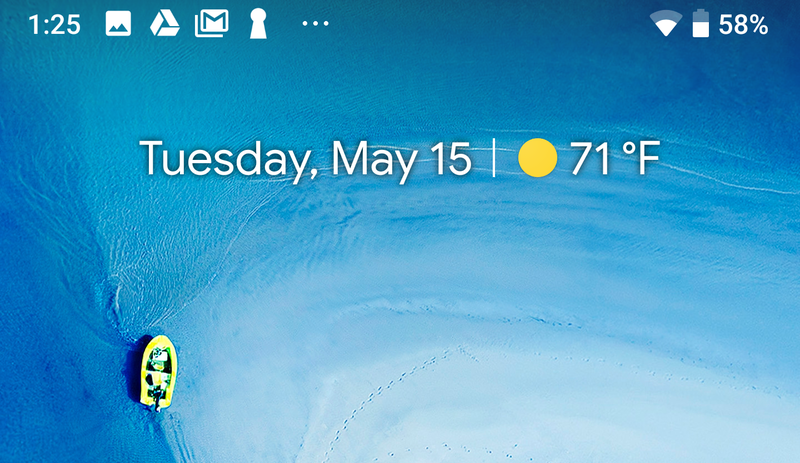 LTE, WiFi, Bluetooth, and NFC get added to the time, battery level (and percentage), alarms, and maybe DND or hotspot icons to create a super cluttered status bar. Android has been allowing us to customize this in System UI Tuner for a while, and it has also made a few choices like removing the NFC icon when it's not actively transmitting data, even when NFC is on. The same is happening for the Bluetooth icon in Android P.